Hezbollah children's magazine, with 30K issue per month circulation, provides practical terror tips, how to dodge land mines. It's aimed at children, but instead of princes and princesses, fairies and magicians, the heroes of Lebanon's Mahdi magazine are the "fighters who fell resisting the Israeli enemy." 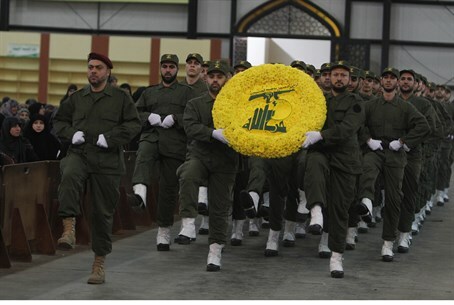 Produced by Lebanon's Hezbollah movement for the last 11 years, Mahdi aims to teach a new generation the Shiite terror group's ideology of "resistance" to the Jewish state, AFP reports Tuesday. Packed full of stories inspired by the lives of Hezbollah terrorists, its cartoons represent bearded fighters and its puzzles teach children how to avoid Israeli land mines. Critics accuse it of glorifying violence, but its publishers insist the monthly magazine is not about indoctrination or military propaganda. "What we want to do is teach children the values of the resistance," the magazine's general manager Abbas Charara told AFP. "We don't encourage carrying of weapons, we're just making sure they know about the exploits of the resistance," he added. "We tell them: 'Just as these great people resisted and were victorious, so too can you resist and be victorious, and that starts with your education'." The magazine is part of broad youth outreach - schools, scout troops and summer camps - for Hezbollah, the powerful terror group dubbed a "state within a state" in Lebanon. Established in 1982 by Iran's Revolutionary Guards, Hezbollah has been a key nemesis for Israel. Mahdi is named after the ninth-century Imam al-Mahdi, the last of 12 imams venerated by Shiite Muslims who believe he will reappear as a savior at the end of the world. One recent edition of the magazine featured stories set in the three decades when Israel was stationed in southern Lebanon. One told of a fighter who detonated a bomb against an Israeli patrol in his village, another of a "hero" Amer, who confides in his mother that he will participate in "a martyrdom operation." Amer blows himself up, killing and wounding 25 Israeli officers and soldiers, and his name is not revealed until 2000, when Nasrallah praises his bravery. Hezbollah's strong Iranian influence is also reflected in the magazine, with the Islamic republic's founder Ayatollah Khomeini hailed in its pages in a feature on "the best leaders." Critics have said the magazine exposes children to violence and teaches them that their identity as Shiite Muslims takes precedence over being Lebanese. "It goes too far in making guns and violence part of the kids' imagination. It's something really dangerous," said Fatima Charafeddine, an author of children's books. The magazine also emphasizes "religious identity with virtually no mention of their Lebanese identity," she told AFP. Charara said Mahdi is not exclusively focused on religious and political issues, noting its articles on figures like Alexander the Great, Victor Hugo, Albert Einstein and Thomas Edison. Still, there is little ambiguity to a game encouraging children to color in grenades and automatic weapons, nor to a puzzle in which readers draw a route around mines and bombs left by the Israelis in south Lebanon. The magazine's monthly circulation of 30,000 issues includes three editions - one aimed at four- to seven-year-olds, one at eight- to 12-year-olds, and one for 13- to 17-year-olds.